'For all the pharmacy students out there part of your pharmacy degree will be to study formulation design and pharmaceutics. This is the holy grail of pharmaceutical technology books. 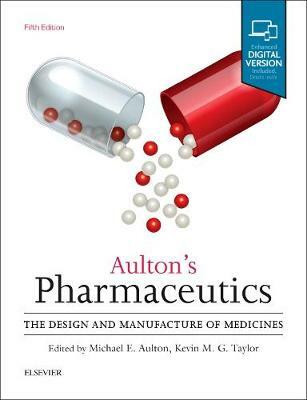 The text reads well and introduces difficult concepts in a more easy-to-understand way, it is definitely worth the money to help you get through the module, if you're doing a research project in pharmaceutical design then this would also be an excellent buy.This is essential for passing exams and developing professional competence.' This is the best known text on pharmaceutics. Its strength lies mainly in being a complete course in one book. Reviewers consistently praise its comprehensiveness and its extremely high quality-quality content. Pharmaceutics is one of the most diverse subject areas in pharmaceutical science and an understanding of it is vital for all pharmacists and scientists involved in converting drugs to medicines that can be safely delivered to a patient. The editorial and author team deliver a tour de force of accessibility, coverage and currency in this new edition of a world-class textbook.